Measure Twice, Accept Once (Part 4) | Quality House Ltd.
What Is to Avoid When the Acceptance Testing is Performed? A very important aspect that is a real pain is the user involvement – this is highly recommendable factor to make your acceptance successful. And then, having in mind all the troubles that can be met with the involvement of the end user, you decide to follow the scenario where you entirely rely on the QAs you have hired in your company and who have worked on the project. The fact is that the QAs that have tested the software influence the Acceptance testing phase too much. That is definitely not good if you want to prove that the system does the things it is supposed to do in the way it is supposed to do. What Are the Main Reasons Why the Acceptance Testing Phase Often Fails? Thus, we come to the point to find out what are the main reasons that the Acceptance testing phase often fails. It is because there is no collaboration and no management buy – in. The other reason is the wrong focus – mostly testers focus in how and not what. Besides that Acceptance testing is often neglected it is fully performed by different and sometimes not suitable tools. And then, when the objectives of the team are not aligned and the skill set required is underestimated, there is no possible to have a successful end of the Acceptance testing phase. So, it is quite understandable to see the fear of acceptance testing when it comes to that point in the testing process. It requires a lot of efforts, a lot of good planning and the ability to be able to adjust quite fast to the new realities. It is also not good to underestimate the requirements of the end users involved in that phase – as most of them will not be very good at IT literacy, you should be careful and patient while explaining the system and the steps for writing their test cases. Yes, that is difficult – you use a set of terms with your team and then the end user comes and is not aware of those terms – you will have to change the way you express yourself and find words for the terms that are common to the ordinary world. But, never should be also neglected the result of that involvement – the ideas the end users can provide and the bugs they can find – usually the one you and your team will definitely have missed out. What Is the Best Option to Do the Acceptance Testing Phase Successful and, at the Same Time Avoid All the Obstacles Set Before You? To outsource the acceptance testing to an independent organization that will organize and carry it for you both with the QAs it has and with end users that they will find and train. 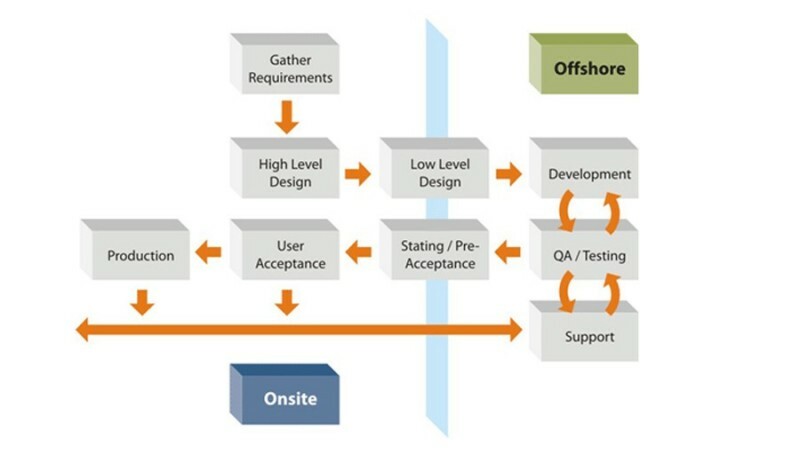 Yes, despite the model and the strong belief that outsourcing the acceptance testing phase is not a good decision, many nowadays may say quite the opposite - outsourcing the acceptance testing is one of the great options as you set the requirements and you can guarantee to your client that the results are really independent and show what the opinion of the others for the product is. The outsourcing model works the proper way when both parties are sharing information timely and that information is correct and not misleading in any way. To Outsource Acceptance Testing or Not? It will not be misleading to say that the acceptance testing phase is not the preferred one to be outsourced as the managers are quite reluctant to lose control and more to that, they strongly believe that the internal team has a better understanding both of the system and of the requirements of the end user. That is, as other research show not quite true and may even lead to a failure. Develop effective tracking and controlling mechanism – at least at the beginning. After you have established a good relationship with the vendor, you may skip those well – defined and measurable parameters for monitoring and control. Thus, after being careful and planning everything and consider the option of outsourcing, you may have a really good release in the end of the acceptance testing phase. It is not an easy task and do not neglect it. Neglecting it will definitely cost more than executing the acceptance testing on your own with all the struggles and a good option is the outsourcing.